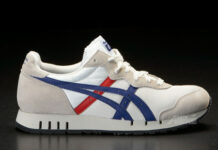 Last time, Europe got its hands on the Onitsuka Tiger X-Caliber with the Wood Wood collaboration. 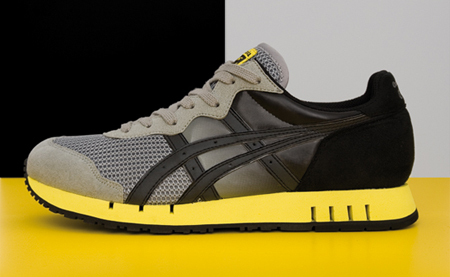 Now, it’s Asia’s turn, as Japanese brand Azita has tried its hand on the classic runner. 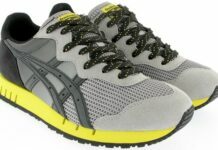 The Azita x Onitsuka Tiger X-Caliber definitely does the model justice, with its clean Livestrong-style colorway of black/grey/yellow. The upper features a gradient effect from grey to black, with a grey mesh and suede toe and black suede heel. Yellow is found on the midsole, which sits atop a black outsole, to match the yellow tongue tag. 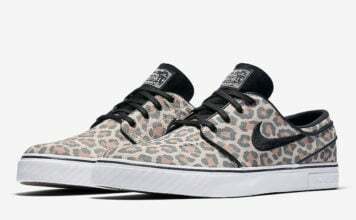 This is definitely going to be a great release, so stay tuned for more info on the shoe.